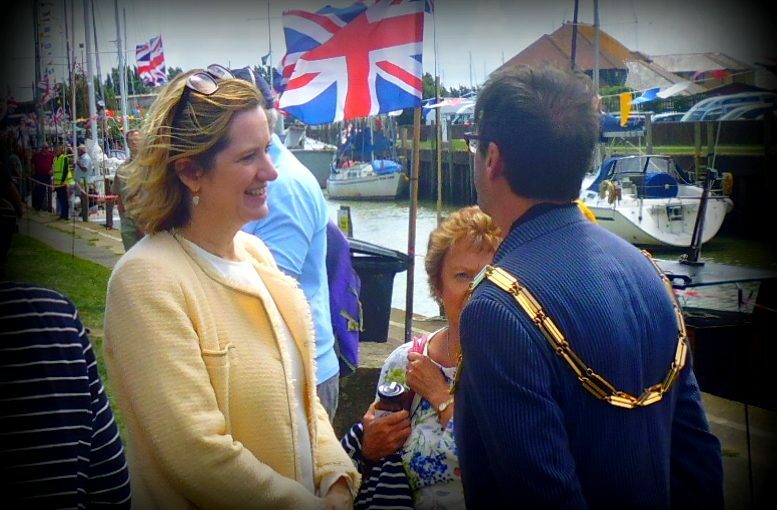 The thousands that attended Rye on Saturday 22 July to enjoy the excitement of the Raft Race and enjoy the music, stalls and entertainment at the Strand were delighted to see Rye & Hastings Member of Parliament, Amber Rudd The Home Secretary, in attendance and presenting the prizes. 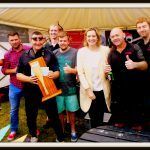 The Home Secretary obviously enjoyed her outing to Rye and spoke excitedly about the Raft Race when presenting the winning team, Skinners of Rye, with the trophy. Amber is very popular in both Rye & Hastings, a fact I have noticed since I first met her in Hastings just after she had become the prospective Conservative candidate to fight the Rye & Hastings Constituency. The number of people she knows by name in both towns is amazing and her ability to keep in touch with what is going on in the constituency, in spite of her enormous national work load, underlines her dedication . 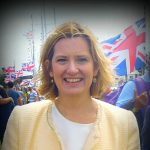 As Home Secretary, Amber has responsibilities for the internal affairs of England & Wales, for immigration and citizenship for the United Kingdom, policing in England & Wales. Our MP is also deeply involved with matters of national security, as MI5, is directly accountable to the Home Secretary. Despite all this weight and responsibility on her shoulders, Amber Rudd is still a highly active constituency MP.